San Francisco, CA, June 13, 2011 – VIZ Media, LLC (VIZ Media), the largest distributor and licensor of anime and manga in North America, brings some of the hottest anime properties to the 2011 Licensing International Expo, taking place at the Mandalay Bay Convention Center in Las Vegas, June 14th-16th, 2011. VIZ Media will be located in Booth #2481. The Licensing International Expo is the preeminent marketplace for the hottest international brands and properties. It features a show floor of more than 7,000 properties from all of Hollywood’s major film studios, global entertainment companies, Fortune 500 consumer brands, sporting teams, interactive properties, fashion labels, and cutting-edge artists and designers. The annual event celebrated its 30th Anniversary in 2010. BLEACH is an epic action series aimed at teens and based on a popular manga series created by Tite Kubo. Ichigo Kurosaki is an ordinary 15-year-old boy who happens to be able to see ghosts. His fate takes an extraordinary turn when he meets Rukia Kuchiki, a Soul Reaper who shows up at Ichigo's house on the trail of a Hollow, a malevolent lost soul. Drawn to Ichigo's high level of spiritual energy, the Hollow attacks Ichigo and his family, and Rukia steps in to help but is injured and unable to fight. As a last resort, Rukia decides to transfer part of her Soul Reaper powers to Ichigo. Now Ichigo, who is a full-fledged Soul Reaper, and Rukia, minus her powers, must join together to face the challenges that lie ahead. More information is available on the dedicated website at www.bleach.viz.com. HATSUNE MIKU, the popular Vocaloid virtual pop singer that has become a massive pop culture phenomenon in Japan, makes her debut in the U.S. at Licensing Show! The world’s first true digital pop star, HATSUNE MIKU is a striking, blue-haired digital female avatar and the most popular of the Vocaloid Character Series software originally created by Crypton Future Media. In Japan, the popularity of HATSUNE MIKU has become a national phenomenon. She has appeared in several video games and music videos and has also performed several sellout “live concerts.” Most recently she appears in a new commercial for the U.S. market for the 2011 Toyota Corolla. The Japanese pop group Supercell also features HATSUNE MIKU as its vocalist and released their first single “The World Is Mine” in the U.S on May 10th, which placed as high as #4 on the iTunes World Music charts. KEKKAISHI is a story of mystical forces powerful in the region known as Karasumori. For over 400 years, it has been the duty of a clan of “kekkaishi” – barrier masters – to guard this land and exterminate the supernatural creatures that are drawn to it night after night. Yoshimori Sumimura is a junior high school student at Karasumori Academy, which is built upon the Karasumori grounds. By night, Yoshimori follows the tradition passed down through generations and fulfills his destiny as the twenty-second “kekkaishi” of the Sumimura clan. But by day, Yoshimori's got other demons to contend with, like an obsession with cake making and a seriously crotchety grandfather! Yoshimori's pretty neighbor, childhood friend and rival, Tokine Yukimura, is also a “kekkaishi,” but their families are caught up in a feud over who is the true practitioner of the art. Protecting ordinary people from the ever-present danger of the Karasumori grounds, Yoshimori will continue to grow stronger as he battles the forces of evil again tonight! For more information on KEKKAISHI, please visit www.VIZAnime.com. NARUTO has become the hottest animated series across North America and is one of VIZ Media’s most successful manga and animated properties in terms of sales. 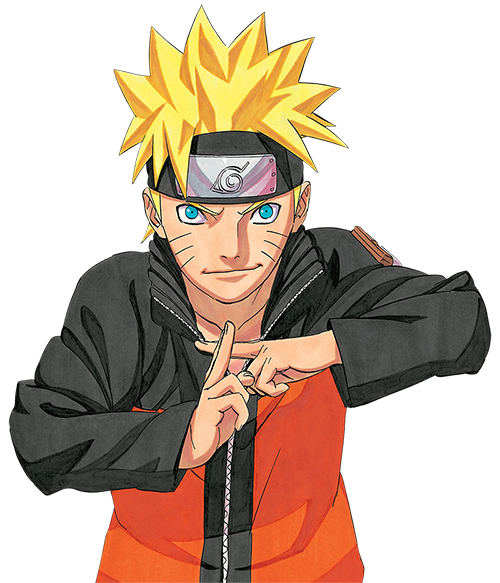 In the NARUTO animated series, Naruto Uzumaki, a young ninja in training, wants to be the best ninja in the land. He's done well so far, but he knows he must train harder than ever and leaves his village for intense exercises that will push him to his limits. NARUTO Shippuden begins two and a half years later, when Naruto returns to find that everyone has been promoted up the ninja ranks – except him. Sakura’s a medic ninja, Gaara’s advanced to Kazekage, and Kakashi… well, he’s the same. But pride isn’t necessarily about becoming a ninja, especially when Naruto realizes that Sasuke never returned from his search for Orochimaru. Plus, the mysterious Akatsuki organization is still an ever-present danger. As Naruto finds out more about the Akatsuki’s goals, he realizes that nothing in his universe is as it seems. Naruto is finding that he’s older, but will he also prove wiser and stronger? More information is available on the dedicated website at www.naruto.viz.com. NURA: RISE OF THE YOKAI CLAN is based on a popular manga series created by Hiroshi Shiibashi. While the day belongs to humans, the night belongs to yokai, supernatural creatures that thrive on human fear. Caught between these worlds is Rikuo Nura. He's three-quarters human, but his grandfather is none other than Nurarihyon, the supreme commander of the Nura clan, a powerful yokai consortium. So, Rikuo is an ordinary teenager three quarters of the time, until his yokai blood awakens. Then he transforms into the future leader of the Nura clan, leading a hundred demons. More information on NURA: RISE OF THE YOKAI CLAN is available at: www.VIZAnime.com. The city of Stern Bild is protected by corporate superheroes known as NEXT, who fight crime while promoting their sponsors on the popular show “HERO TV.” Veteran hero Wild Tiger relies on his years of experience and instincts to fight crime, but his tendency to destroy public property for the sake of protecting the lives of the innocent has earned him the nickname “Crusher for Justice.” Now, under orders from his new employer, Wild Tiger finds himself forced to team up with Barnaby Brooks Jr., a rookie with an attitude. Two polar opposites work to fight evil in this thrilling buddy-hero action series! To view the official trailer and to follow TIGER & BUNNY on the official Facebook page, please visit http://www.facebook.com/TigerAndBunny. VAMPIRE KNIGHT is based on the best-selling gothic-romance manga series created by Matsuri Hino. Cross Academy is attended by two groups of students: the Day Class and the Night Class. At twilight, when the students of the Day Class return to their dorm, they cross paths with the Night Class on their way to school. Yuki Cross and Zero Kiryu are the Guardians of the school, protecting the Day Class from the Academy's dark secret: the Night Class is full of vampires! For more information on the VAMPIRE KNIGHT anime series, please visit www.VIZAnime.com.